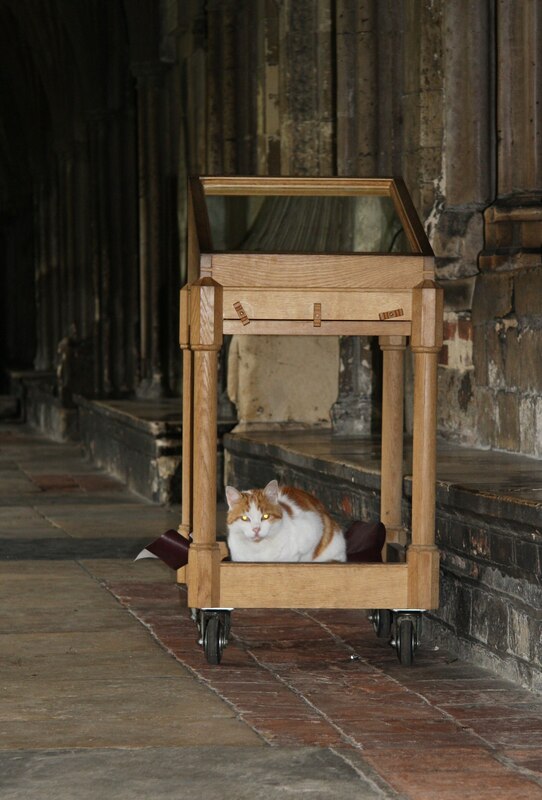 Several years ago, the choral boarding house was renovated and Laptop decided to make the Cloisters his home, and this is where he happily stayed. 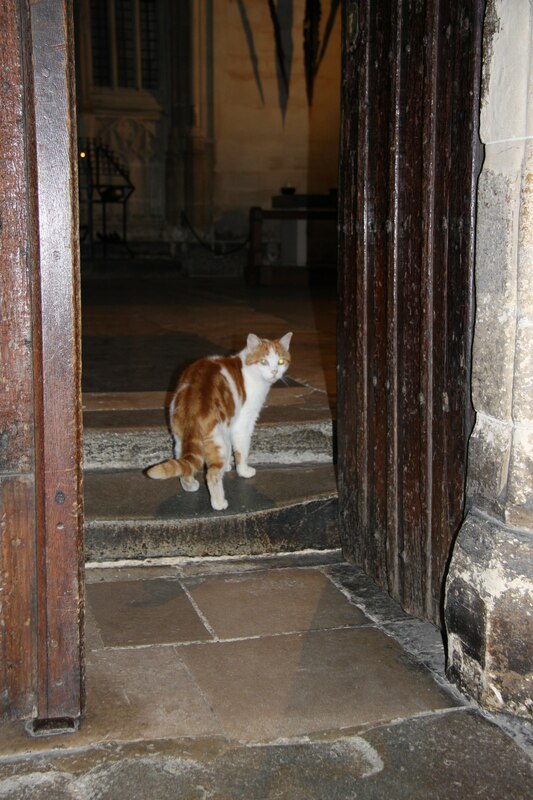 The Cathedral cleaners cared for him and made sure he was well fed and looked after. 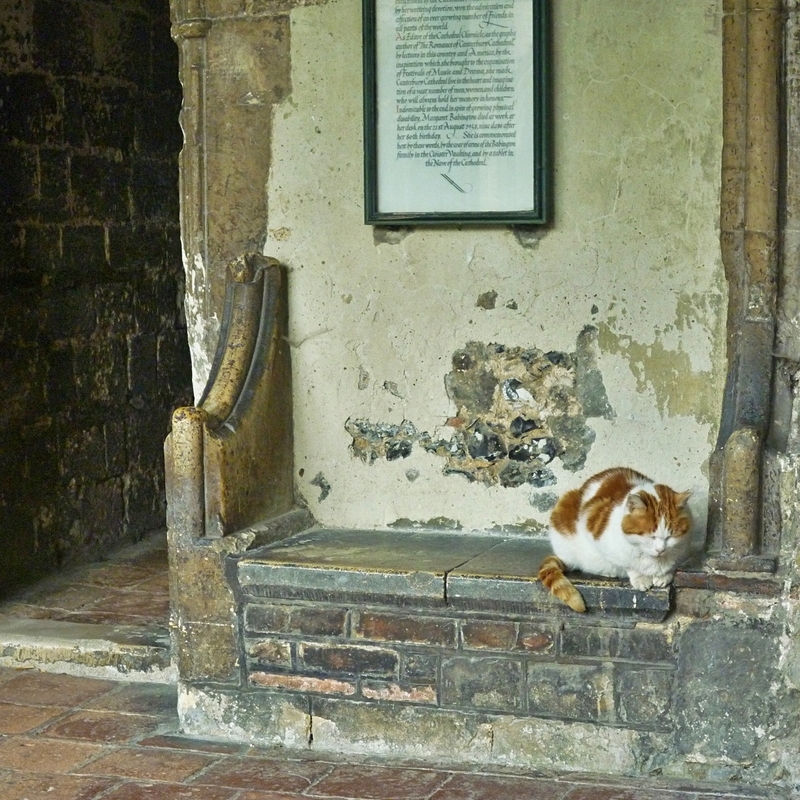 He would happily greet and walk with the virgers every morning as they opened up the Cloisters and his routine was always to mew at the Martyrdom door just before Matins so he could go in and attend the Service; he even had his own chair. 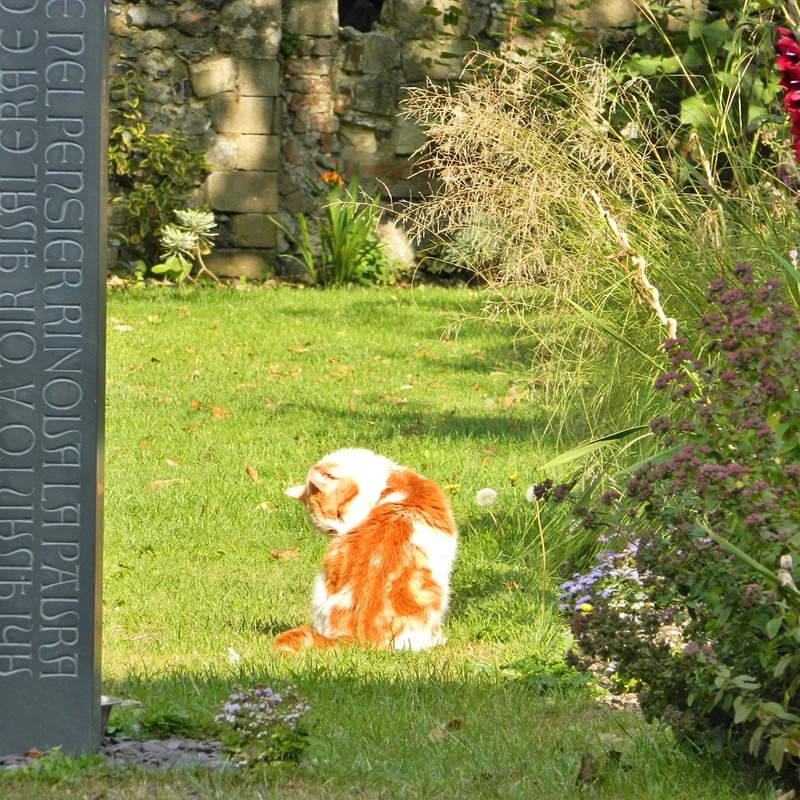 He would while away many a sunny afternoon stretched out in the Water Tower garden and so it seemed only appropriate that we laid him to rest in one of his favourite spots. 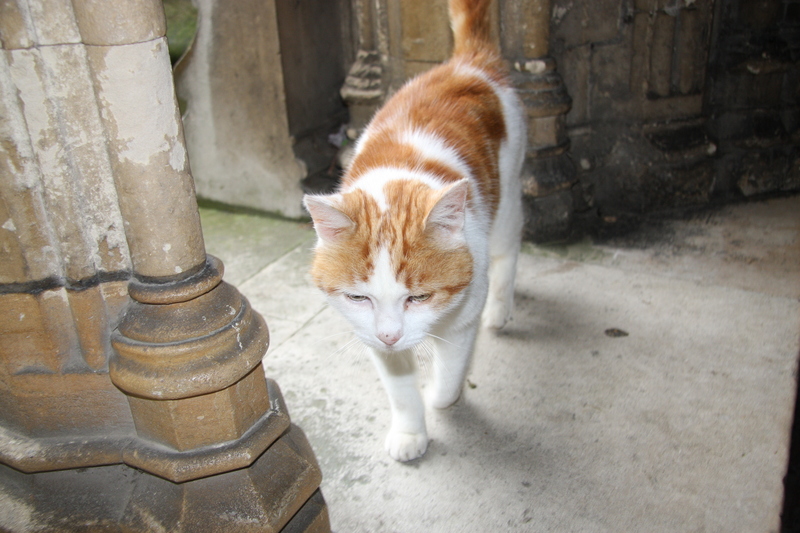 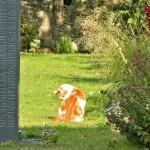 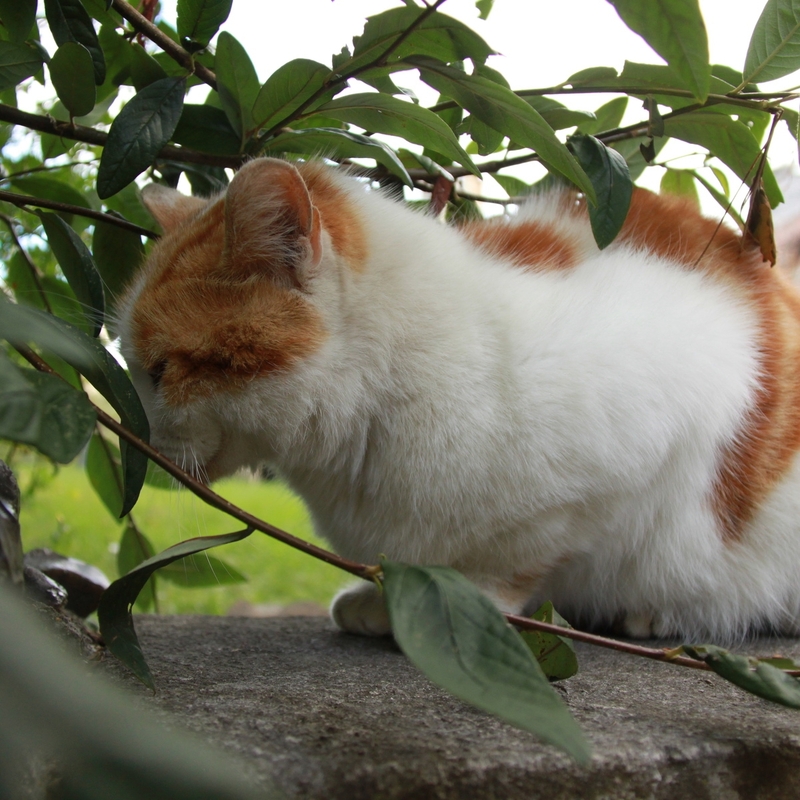 He was a friendly and content cat, adored by the staff and volunteers at the Cathedral. 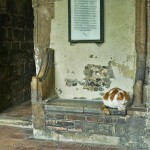 He has welcomed millions of visitors -and probably appeared in thousands of photographs – to the Cloisters over the years. 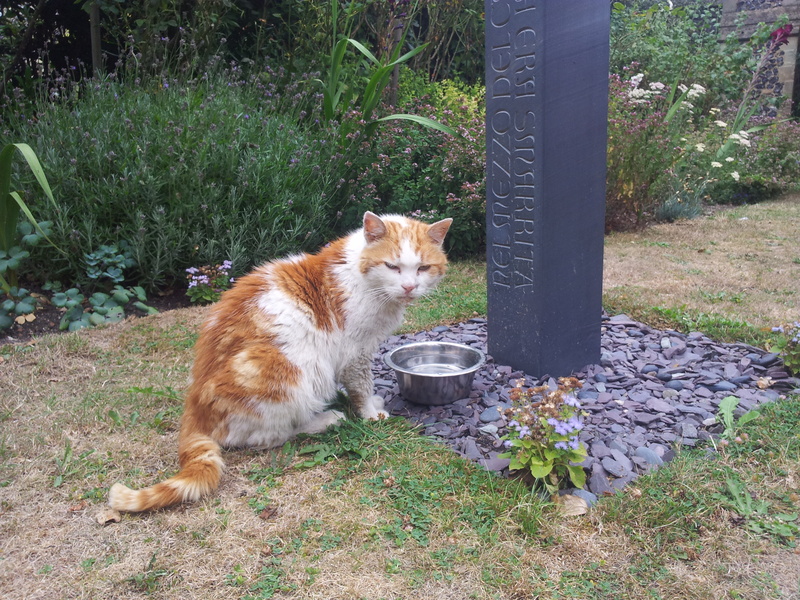 Since his death, we have been amazed at the number of visitors and volunteers who have contacted us to share their fond memories of the Cloister resident. 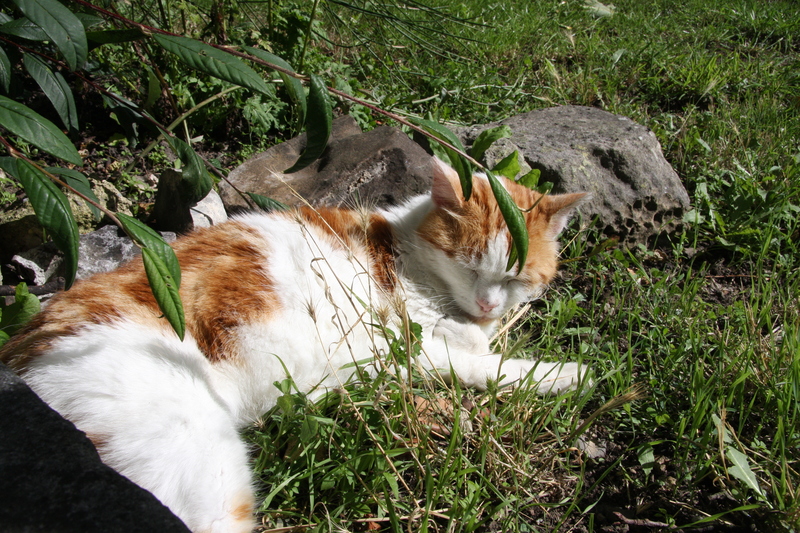 So to celebrate the life of this loved and treasured cat we have put together a selection of photos. 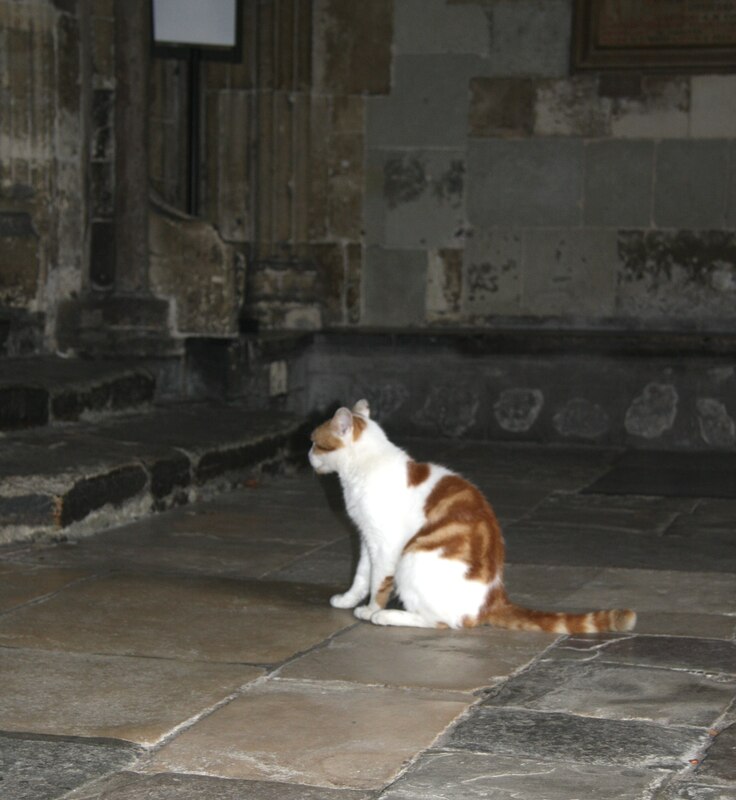 RIP Laptop.